Steeped in a rich and diverse cultural history, Rio de Janeiro is a sightseer's dream, home to a great variety of spectacular attractions. With miles of beautiful coastline and some seriously exciting neighbourhoods to explore, this city has much to offer its visitors. 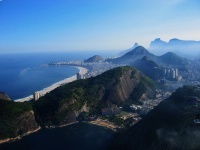 A visit to Rio de Janeiro would not be complete without the obligatory visits to Sugar Loaf Mountain and the statue of Christ the Redeemer, one of the seven New Wonders of the Modern World and Rio de Janeiro's most famous landmark. Ipanema is the place to go for sun worshippers, where miles of sugary white beaches and shopping opportunities abound. 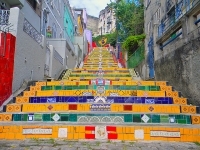 Sip caipirinha cocktails and sing along to the hit Barry Manilow tune in Copacabana, or explore the cobblestone streets of downtown Centro, Lapa, and Santa Teresa. Sports lovers should head down to the Estádio do Maracanã to enjoy a game of the national sport of soccer. 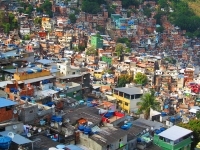 Tourists planning to spend some time in the city will do well to purchase the Rio Pass which grants the holder free entry to four of Rio's charging tourist attractions, 50 percent off on all other admission fees, discounts on nightlife, and a free map and guidebook full of need-to-know information, among other things. The pass is valid for seven days and can be bought from tourist offices around the city.